We believe you still remember the impressive steampunk stormtrooper helmet from Star Wars. Now another functionality stormtrooper helmet from 501st TK Project also should impress you. Because it’s also a portable speaker doubled as an USB hub. 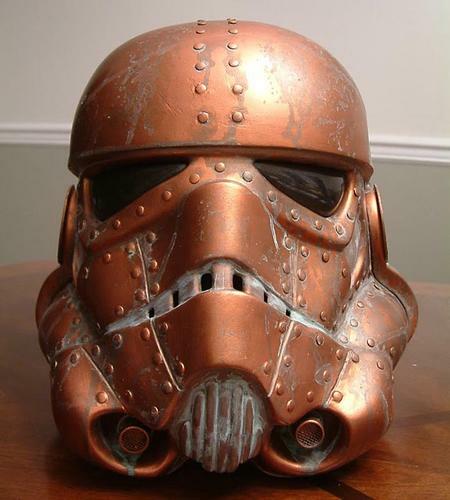 This exquisite and functional stormtrooper helmet is designed and created by Kevin Graham. It’s named as TK-Pod Stormtrooper Helmet. Many rivets are drilled beside the seams. 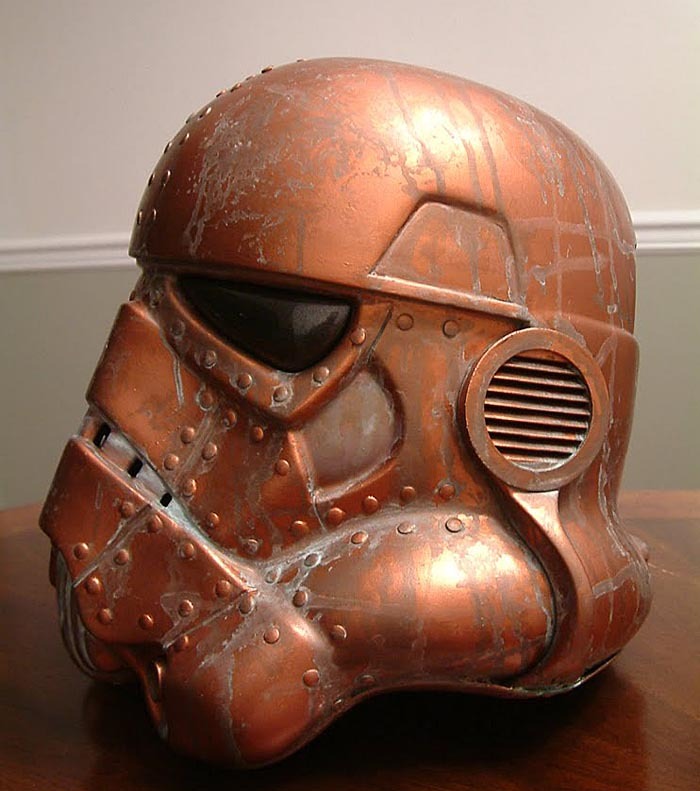 The surface of the helmet is plated in real copper, then chemical patina is added on the surface in order to improve the visual effect. Of course, the most brilliant feature is, that two surround sound speaker units has been placed respectively in the ear vents of the stormtrooper helmet, and each speaker connects to an amplifier. 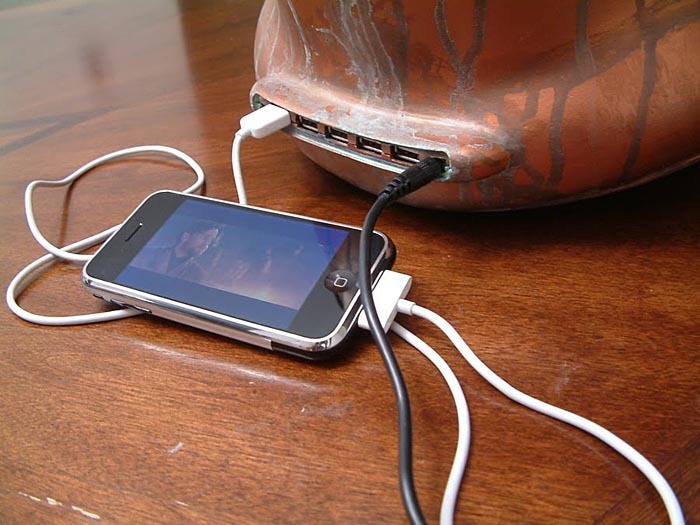 Through the 5-port USB hub and 3.5mm audio jack set on the back of the helmet, we can connect our iPhone, iPod or any audio device with standard audio jack to the helmet for music playback or charging the iPhone, iPod or any device with USB connector. How do you think about the ultra cool stormtrooper helmet? We love it so much. It’s very very pity that the TK-Pod Stormtrooper Helmet seems not to be available. This is the only one model.